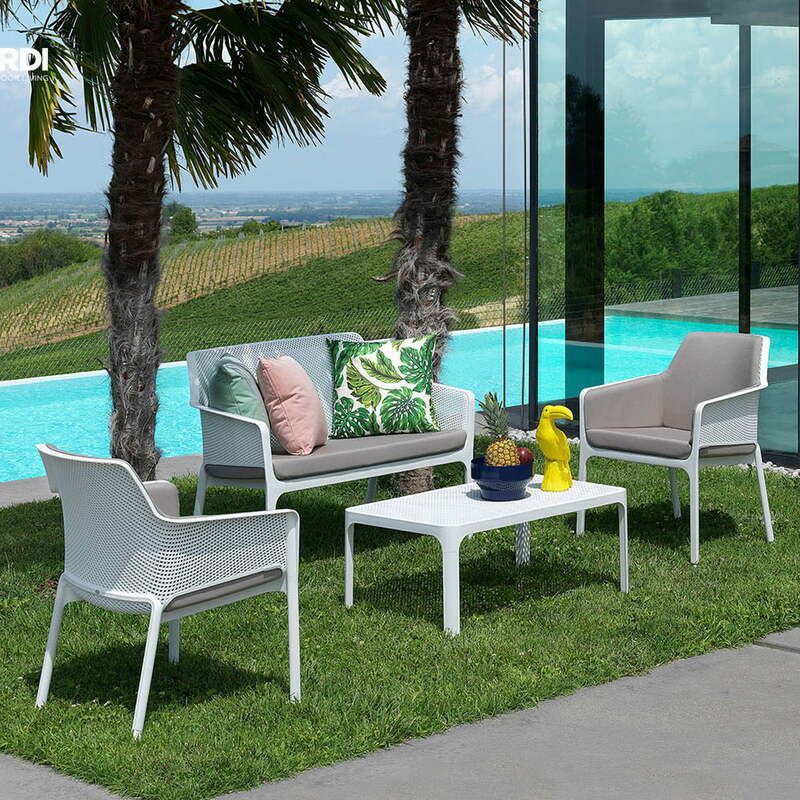 The seat cushion for the Net armchair makes the Nardi garden chair even more comfortable. 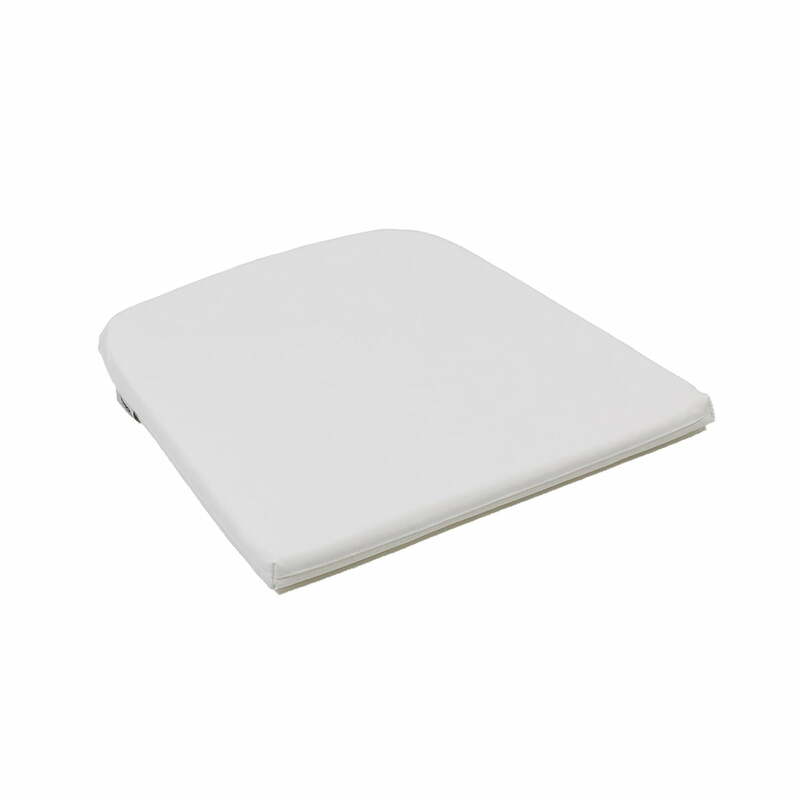 The soft cushion is filled with 3.5 cm thick polyurethane foam and has a 100% fibre-dyed acrylic cover. Thanks to its light resistance, water resistance, anti-staining properties and anti-mold coating, the seat cushion is ideal for outdoor use. The cover is equipped with a zipper and can be easily removed for cleaning. At 30 °C the cover can be washed in the washing machine. The seat cushion for the Net armchair is available in various colours. The seat cushion in grey is made of Sunbrella through-dyed acrylic fibre and can be cleaned at 40 °C. The seat cushion is made of acryl fibre. Seat cushion for Net armchair in white by Nardi in single view. The weatherproof seat cushion makes the Net garden chair from Nardi even more comfortable. Net armchair with seat cushions by Nardi in the ambience view. The cushions give Nardi garden chairs a special touch of colour and make them wonderfully comfortable. 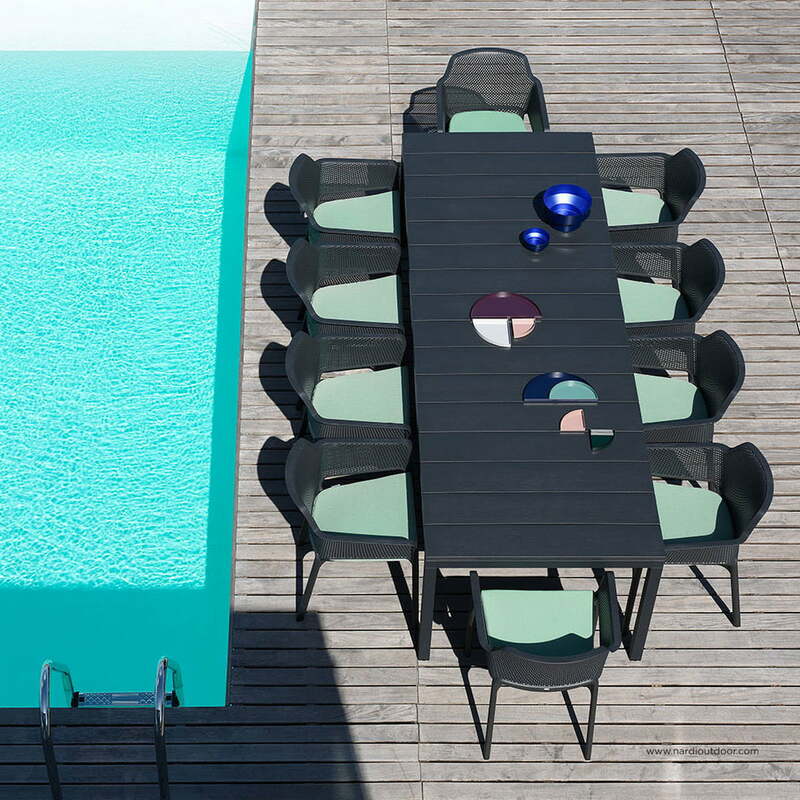 Available in various colours, the Net Bank and Net armchairs from Nardi can be adapted to your own taste and combined perfectly with other garden furniture.